The pictures and videos of exotic international trips my friends shared on social media always inspired and impressed me. After seeing how much fun they had, I finally decided to step out of my comfort zone and go out to explore the world. I felt a healthy dose of both excitement and fear because there are many things that can potentially go wrong during international travel. Nevertheless, with proper planning and preparation, my first international trip went smoothly and left me with fond memories of my adventures. Do not allow fear and anxiety to get in the way of seeing the world. Traveling provides an opportunity to learn about other cultures and broaden horizons. 1. Prepare a Checklist: The ultimate checklist includes important documents, such as a passport, visa, boarding pass, and hotel confirmation. Make copies of all the important documents. I keep a digital and physical version of each one. In addition, it is important to have an itinerary, credit card, cash, cell phone with an international converter and SIM (subscriber identity module) card, pens, and proof of travel insurance. This will help you organize everything and give you the confidence to travel abroad. 3. Apply for a Passport in Advance: I applied for my passport months in advance of my first international trip. 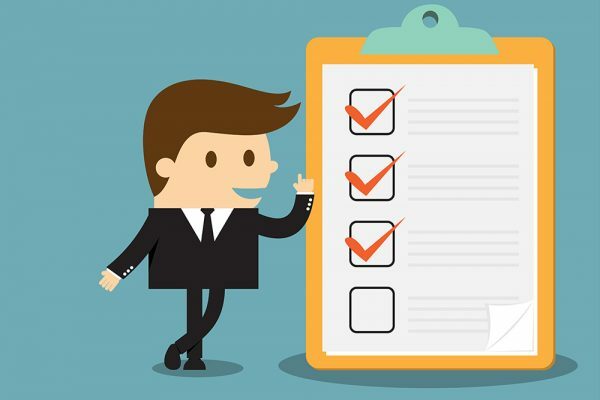 The process involves filling out a form, collecting supporting documents, getting a photograph, calculating a fee, and submitting the application. The US Department of State allows travelers to fill out the documents online. Routine service takes 4 - 6 weeks; however, expedited service is available for a significant fee. 4. Check if Visa is Necessary: Check the visa requirements of the destination country. Some countries offer visa on arrival, while others require a pre-issued visa. 5. 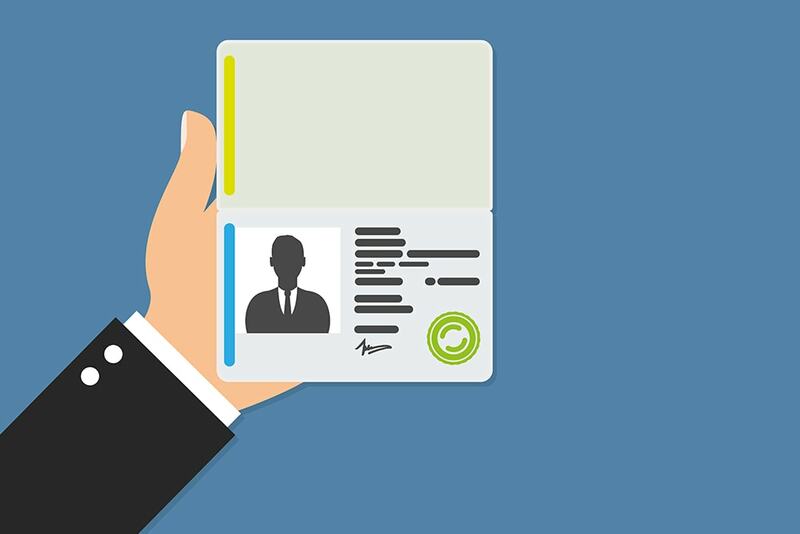 Find Out the Immigration Requirements: Some countries require proof of permission to travel. Keep important documents handy to avoid problems. The Smart Traveler Enrollment Program is a free service that allows US citizens traveling or living abroad to receive the latest security updates from the nearest US embassy or consulate. 6. Learn about the Country: I did research online to learn about the foreign country I visited. Learn about the language, cuisine, and customs before going. Doing a simple search informed me about my destination and prevented me from experiencing culture shock. 7. 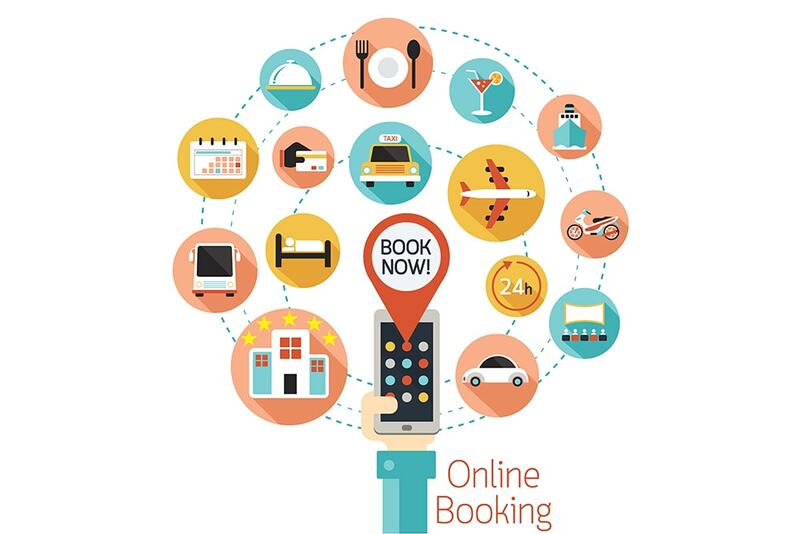 Book Your Accommodations Online: I belong to BJ’s Wholesale Club, so I used their travel service to book my trip to Europe. I saved about 40% on airfare and hotel stay. The service is user-friendly and offers great package deals. Another good option is AAA Travel; members enjoy huge discounts, and booking online is a hassle-free experience. Both websites feature last minute travel deals. 8. Secure Travel Insurance: Travel insurance is good to have in case of emergencies. It covers not only lost bags and missed flights but also health issues. The best international travel insurance provides broad medical coverage, strong financial backing, and exemplary customer service. I got a quote from Allianz Global Assistance before my trip to Rome, Italy. They offer policies for every type of trip. 9. Mingle with the Locals: I visited off-the-beaten-path towns and places to meet locals. They taught me a lot about everyday life that tour guides do not know about. I noticed that the food is cheaper and tastier at small family-owned restaurants in areas that do not attract many tourists than in big and popular restaurants. 10. Book Transportation in Advance: I booked my ground transportation, a shared shuttle bus, and my city bus tour in Rome in advance and saved about 30% of the cost. I just had to show the drivers my email receipts. In addition to saving money, I did not have to worry about the language barrier of hailing a ride. 11. Avoid Overbooking: I try not to overbook activities when I travel overseas. It is nearly impossible to see and enjoy everything in just one trip. It is important to set aside some time for relaxing as well. 12. Know the Location of Your Embassy: Find out where the United States Embassy is when visiting a foreign country. I contacted the officials at the Ecuadorian Embassy when I lost my passport, and they were very helpful. An alphabetized list of US embassies, consulates, and diplomatic missions can be found here. 13. Notify Your Bank: I notified my bank about my travel plans so they would be aware of upcoming foreign transactions. This prevented them from blocking my account due to suspicious activity. I also ordered euros from them in advance, and they mailed them to me within a week. 14. 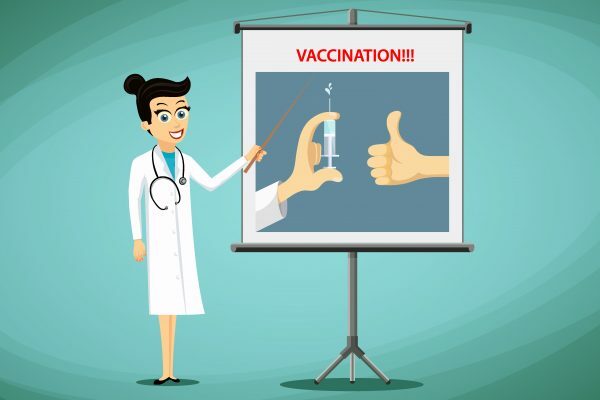 Get Vaccinated: Do research on the vaccinations before traveling, as some countries have specific requirements. Make an appointment with a doctor and get vaccinated well ahead of time. 15. Carry an International Converter Kit: I bought an international converter adapter kit at Walmart for only $12.99. It enables me to use 110-volt North American small electronic items and appliances. Another good option is the American Tourister International Converter Set. 16. Ask Questions at the Airport: I ask many questions at the airports in the States and abroad. Most of the workers from baggage clerks to flight attendants are fluent in English and know a lot about international travel and logistics of airports. 17. Find Out about Travel Warnings: The US Department of State website provides up-to-date travel advisories and a color-coded map. Conditions can change quickly in a country at any time. 18. Take Prescriptions: It is important to take all routine and emergency medications when traveling abroad. Sometimes, it is difficult to find or buy certain medicines in other countries. They may be under different names or not available at all. 19. Share Plans with Loved Ones: Once my plans are set, I send a copy of my itinerary to all of my loved ones and colleagues. This is for safety purposes. I inform them of where I am going, how long I will be gone, and most importantly how they can reach me in case my phone is not working. In addition, I have the post office hold my mail when I go on long trips. 20. Check for Banned Items: There are certain items that some countries ban. Visit the website of the destination country before departing to find out what they prohibit there. 21. Pack Lightly: I always pack lightly to avoid paying extra baggage fees. My suitcase is small enough for carry-on, so I do not have to go through the baggage reclaim rigmarole. I pack lightweight clothing that does not wrinkle and only one or two pairs of shoes. It is good to have your own toothpaste and at least one bar of soap because hotel soap bars are usually tiny! 22. Double-Check Everything: At least two days before a journey, I double-check everything – tickets, baggage, transportation, documents, accommodations, etc. 23. Fill Out the Immigration Card Properly: Fill out the immigration card clearly and provide the correct information. 24. Safeguard Luggage: I never leave my bags unattended when I travel or have a layover. I find a locker or luggage storage service that provides a receipt. Ask about storage availability at the airport. 25. Keep an Address Book: I keep important telephone numbers and addresses in my cell phone and in a paper diary as a backup. Sometimes, when the cell phone battery dies, it is convenient to have access to important information in writing. 26. Check the Weather Forecast: A day before traveling, I check the weather forecast of the country I plan to visit. Being prepared allows me to avoid wearing inappropriate clothing and lowers the stress level associated with long-distance travel. 27. Dress Comfortably: I dress comfortably for my journeys. My wardrobe is business casual, and I always bring with me a sweater to keep me warm in chilly airports, airplanes, and ground transportation. I prefer colorful and loose sundresses for hot climates and dress slacks and ankle boots for cold climates. Always take a pair of comfortable shoes for walking. 28. Entertainment and Comfort: I love to browse on my tablet during long flights. Other good forms of entertainment are books, magazines, and music. Most airplanes provide headsets for listening to music and watching television shows and movies. 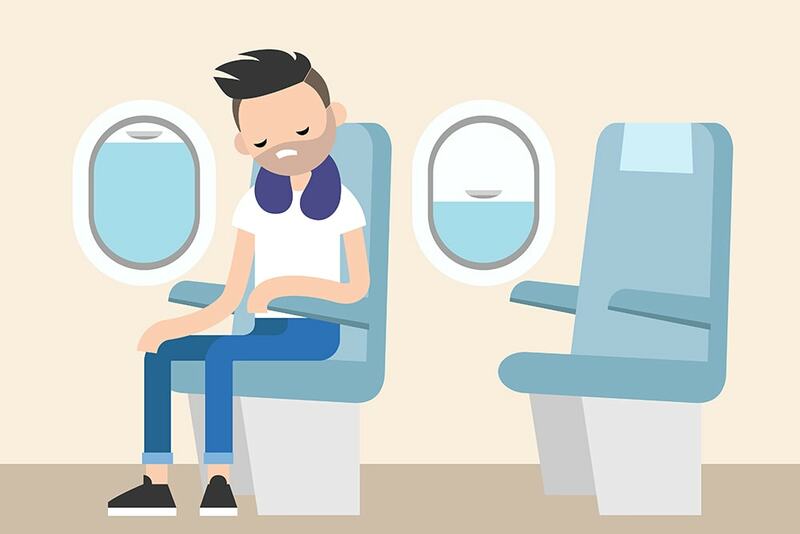 A neck pillow is good to have for dozing, and I usually take my own small blanket because the ones on airplanes are not always clean. 29. Pack Extra Clothes/Toiletries: Make sure to pack an extra set of clothes in a carry-on bag for emergencies. I like to freshen up during long-haul flights, so I keep an extra outfit and travel-size toiletries in a tote bag. 30. Never Store All Cash in One Place: I never store all of my cash in one place because that would allow a potential thief to wipe out my money. A better idea is to keep money in a couple of different places. 31. Check the Operation Hours of Major Attractions: I visited the websites of major attractions to confirm days/hours of operation and admission prices. This helped me save time and money. 32. Be Cautious in the Beginning: I experienced jet lag after flights to Europe and Asia. I recommend taking a nap during a long flight and take it easy on first day of the trip. In addition, drink a lot of water and eat nutritious foods that are energizing. I usually feel rejuvenated by the second day. 33. Allow Plenty of Time between Connecting Flights: International airports are often quite large and complex. 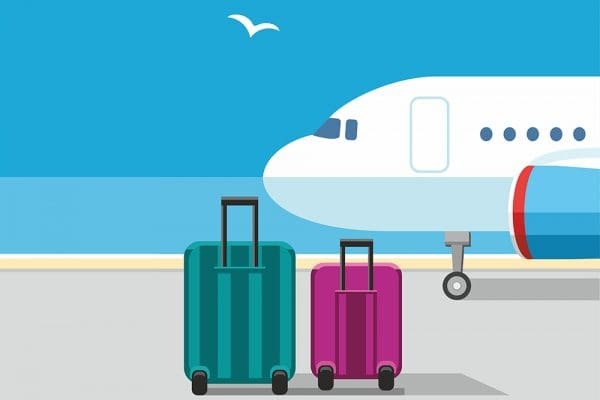 Make sure to leave enough time between connecting flights to avoid rushing and, even worse, missing a flight. On one occasion, I only had a half hour layover in a huge airport, so I informed the flight crew, and they sent a message to the departure gate that I was on my way. 34. Carry Local Cash: Always carry some local cash. Sometimes, merchants do not accept dollars, debit cards, or credit cards. Major banks in the United States can exchange currency. I found that my bank’s ATM network was the best option when I exchanged money while overseas. 35. Carry Passport at all Times: Carry passport (a photocopy is sufficient) all the time. I needed it for identification and verification purposes inside of and outside of the airport. A good idea is to keep the original in a lock box at the hotel and keep a copy in a wallet, tote bag, or purse. 36. Pack Snacks: Food at airports is usually expensive, so I pack healthy snacks and bottled water in my carry-on bag. A few good options are peanut butter crackers, granola bars, and mixed nuts. Another good choice is the Bumble Bee Snack on the Run. This contains crackers with canned tuna salad and is high in protein. 37. Download Important Apps: I download important applications on my phone before I leave for a trip. Some examples of helpful ones are Uber, Babel, and Google Maps on a Wi-Fi connection. Eva Longoria loves JetSmarter because it allows her to search, book, and pay for a rental jet - all from a mobile device. 38. Learn the Basics of the Language: I learn words and phrases in the native language including “yes,” “no,” “where is the bathroom?” and “thank you.” It is a good idea to learn a few phrases about money and directions as well. iTranslate enables travelers to read, write, and speak in over 100 languages anywhere in the world. It even has a voice conversion feature. 39. Carry a Pocket Map: Carry a pocket map with you as a backup in case Google Maps does not work. Many hotels and tourist information centers provide them at no cost. 40. Beware of Scammers: Unfortunately, scammers prey on tourists, so be extra careful when dealing with strangers. Do not give out any personal information to anyone. In addition, do not fall for offers that seem too good to be true because they are probably fraudulent. When I feel doubtful, I contact hotel personnel or a police officer. 41. Buy a Guidebook: I invested in a good guidebook so that I had a reliable source of information about the country I was visiting. A couple of good ones are Lonely Planet and Fodor's Travel. 42. Do Not Buy Too Much Stuff: Shopping for souvenirs is fun, but getting some items through customs is costly because of taxes and heavy baggage. Stick to small and unbreakable items. So there you have it! Good luck with your adventure, and don’t forget to have fun!